Increasing the level of physical activity among persons with signs of frailty improves physical functioning. There is a lack of long-term supervised physical exercise intervention studies including a validated definition of frailty. 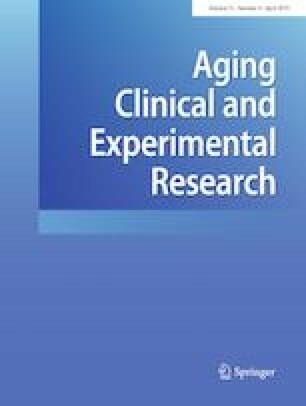 To present baseline characteristics of persons with signs of frailty participating in a randomized long-term home-based physical exercise trial (HIPFRA), and to study associations between the severity of frailty, functional independence and health-related quality-of-life (HRQoL). Three hundred persons, ≥ 65 years old and with signs of frailty (assessed by Fried´s phenotype criteria) were recruited from South Karelia, Finland and randomized to a 12-month physiotherapist-supervised home-based physical exercise program (n = 150), and usual care (n = 150). Assessments at the participants’ homes at baseline, and after 3, 6 and 12 months included the Short Physical Performance Battery (SPPB), the Functional Independence Measure (FIM), HRQoL (15D) and the Mini-Mental State Examination (MMSE). Eligibility was screened among 520 persons; 300 met the inclusion criteria and were randomized. One person withdrew consent after randomization. A majority (75%) were women, 182 were pre-frail and 117 frail. The mean age was 82.5 (SD 6.3) years, SPPB 6.2 (2.6), FIM 108.8 (10.6) and MMSE 24.4 (3.1) points, with no significant differences between the study groups. Inverse associations between the severity of frailty vs. FIM scores and HRQoL (p < 0.001 for both) were found. Our participants showed marked physical frailty without major disabilities. The severity of frailty seems to be associated with impaired functional independence and HRQoL. The HIPFRA study is funded by the South Karelia Social and Health Care District (Eksote, register number 1236/00.01.05.01/2013), by two governmental funding sources; The Social Insurance Institution of Finland (SII, register number 94/331/2013) and State Research Funding for Academic Health Research (Ministry of Social Affairs and Health), and by the Vyborg Foundation Against Tuberculosis. The funding bodies had no role in the design of the study, in collection, analysis and interpretation of the data, or in writing the manuscript. A written informed consent was obtained from all individual participants included in the study.